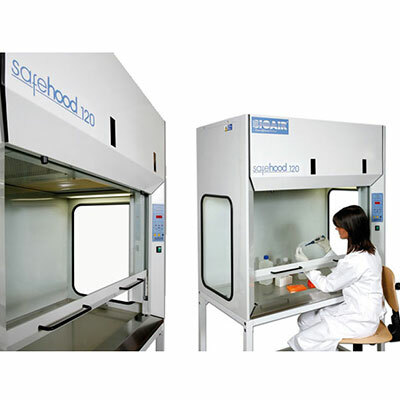 A fume cabinet, fume hood or fume cupboard is a type of local ventilation device that is designed to limit exposure to hazardous or toxic fumes, vapors or dusts. 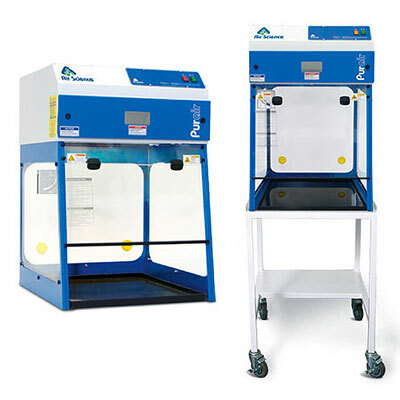 A fume cabinet is typically a large piece of equipment enclosing five sides of a work area, the bottom of which is most commonly located at a standing work height. LAF Technologies offers an extensive range of fume cupboards for industry professionals. Air Science’s Purair Advanced Ductless and Purair Basic Ductless and Euroclone’s Safehood Ductless fume cabinets complement the range of controlled environment solutions available from LAF Technologies. For close to 30 years, LAF Technologies have been a main stream and respected supplier of fume cabinets. 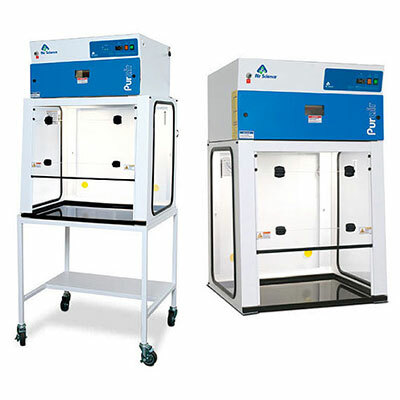 We are the exclusive Australian distributors for Air Science and EuroClone – BioAir fume cabinet products. We fully service and support their entire range of products in Australia. We also offer professional deployable onsite sterilization services as well as cost effective site-specific equipment sales and operational training. The professional service team at LAF Technologies has over 25 years experience performing routine room and equipment fumigation. In addition, we conduct NATA testing to ISO 14644, AS 2252.2 and AS 2243.8/9. We also offer decontamination services for lab equipment, laboratory cabinets, workstations, incubators, rooms and spaces using iHP® ionised Hydrogen Peroxide for critical applications and H2O2 Hydrogen Peroxide Vapor technologies.